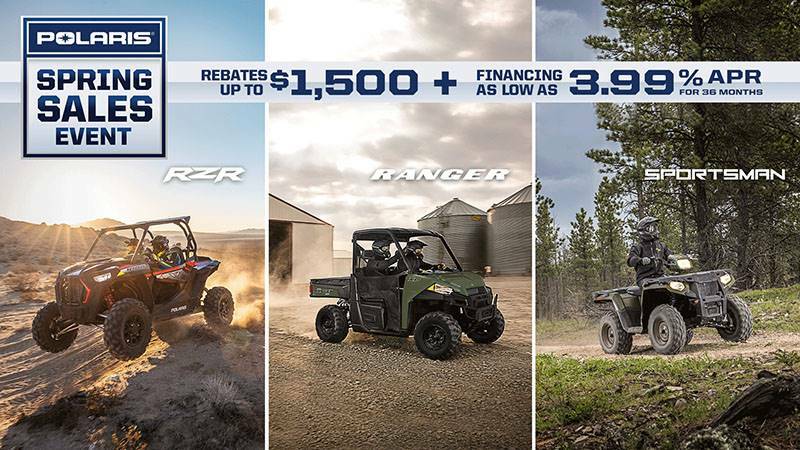 Delivering the hard working performance and smooth riding comfort of the best-selling RANGER XP® 900, with room for 6 so you can bring the whole crew. POWER THROUGH THE TOUGH JOBS: The purpose designed and built 875cc ProStar® 4-stroke twin cylinder engine delivers 68 HP of smooth, reliable power. Paired with Electronic Fuel Injection (EFI) and True On-Demand All Wheel Drive, this engine gives you all the power and traction you need to get the job done on any terrain, in any weather. HAUL MORE. WORK HARDER. GET MORE DONE: Hook up your trailer to the standard 2 in. receiver hitch and tow up to an impressive 2,000 lb. of supplies and haul an additional 1,000 lb. in your cargo box for a long day of work on the property. The RANGER CREW XP 900 is the utility side-by-side you need to take on the big jobs and get more done in fewer trips. Work faster so you can play harder. SMOOTH RIDE AND HANDLING: The RANGER CREW XP 900 delivers all-day cab comfort, whether you’re on the trails or working on your property. With 10 in. of up-front and independent rear suspension travel, plus 11.3 in. of ground clearance for tough terrain, you’re ready to handle any obstacle the off-road throws at you. SEATING & STORAGE FOR 6: Designed to provide the required storage for a group of 6. Innovative storage solutions available throughout the cab. ADJUSTABLE TILT STEERING: Utilize the tilt steering to adjust the position of the steering wheel to easily enter and exit the vehicle. VERSATRAC TURF MODE: For work around the house, unlock the rear differential for easier and tighter turns that won’t tear up your lawn. RIDER-CENTRIC IN-CAB STORAGE: For your smaller, but necessary items, take advantage of the 9.8 gal. of enclosed, easy-to-access in-dash storage. 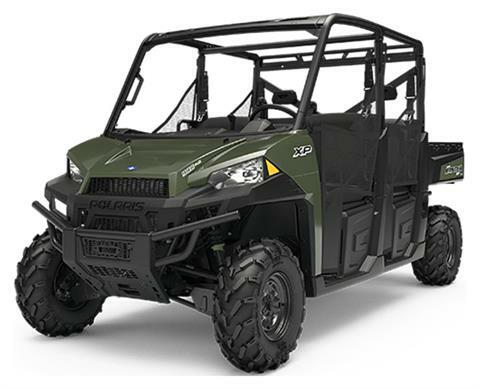 Warning: The Polaris RANGER® can be hazardous to operate and is not intended for on-road use. Driver must be at least 16 years old with a valid driver’s license to operate. Passengers must be at least 12 years old. Drivers and passengers should always wear helmets, eye protection, and seat belts. Always use cab nets or doors (as equipped). Never engage in stunt driving, and avoid excessive speeds and sharp turns. Riding and alcohol / drugs don’t mix. All drivers should take a safety training course. Call 800-342-3764 for additional information. Check local laws before riding on trails. ©2018 Polaris Industries Inc.